In the last decade, online colleges have grown in number, with many state universities and other reputable colleges and universities now offering online degrees. Ironically, both career goals and limitations serve as prime factors for pursuing online college degrees. Unlike the perception just a few years ago — that online colleges play a distant second to traditional, on-campus education — today, many graduates of accredited online colleges report high satisfaction with their choice to earn a degree online. Many students enroll in online colleges because of the time advantages and flexibility that online degrees offers. Most people can’t afford to put their careers on hold or rearrange their lives in order to earn a traditional, on-campus degree. Online schools provide a great alternative, allowing anyone to earn a degree that meets their goals in a flexible, affordable format. Our ranking methodology includes a blend of data analysis and research (in areas such as academic excellence, strength of faculty, reputation, affordability, and range of degree programs), as well as the combined professional experience of our staff and Academic Advisory Board. All of the online colleges and universities listed are regionally accredited, nonprofit, and offer a range of online degree programs. Our goal is to identify and rank the best accredited online colleges available to ensure the greatest satisfaction among online students. Launched in 1998, Penn State World Campus is the online school of the highly respected Pennsylvania State University. Penn State World Campus offers an impressive selection of online degrees, with more than 120 online programs leading to a variety of both undergraduate and graduate degrees — as well as certificate programs. Offerings include online degrees in fields such as technology, engineering, education, healthcare, business, and more. Penn State World Campus enrolls over 12,000 students. After acceptance into the World Campus, students must also receive acceptance into the appropriate college for their chosen major at Pennsylvania State University. Online students receive instruction from the same world-class faculty members as on-campus students. Online students also have access to academic advisers, career services, online tutoring, and library services. World Campus’s courses are asynchronous, so students can complete coursework on their schedule. However, readings, assignments, discussions, and exams must be completed by set deadlines. Some graduate degree programs require a residency period from a few days to two weeks in length. Penn State World Campus graduates earn the same degree as traditional Penn State students, and join the largest alumni network in the United States — another factor making this one of the best online schools in the US. A member of the Association of American Universities (an association of excellent North American research universities), Pennsylvania State University is accredited by the Middle States Commission on Higher Education (MSCHE). Pennsylvania State University’s Smeal College of Business also received accreditation from the Association to Advance Collegiate Schools of Business (AACSB International). A member of the State University System of Florida, UFL is a public, Sea Grant, space-grant, and land-grant research university with sixteen colleges, over 150 research centers and institutes, and enrolls over 49,900 students. Established in 1853, UFL is consistently ranked among the top universities in the United States. Recognized for providing high-value education to students, the University of Florida Distance Learning offers over 300 undergraduate and graduate degree programs leading to bachelor, bachelor completion, master, specialist, and doctoral degrees. The university also offers a handful of international degree programs. Undergraduate and graduate degree topics include environmental management in agriculture and natural resources, health education, biology, entomology, industrial and systems engineering, and Latin. Students also can pursue doctoral degrees in education, audiology, philosophy, classical studies, nursing practice, and pharmacy. Applicants must meet the university’s general admission requirements and those specified by the degree program. Distance learning students can access a variety of support services, such as an online course management system, library resources, career services, and an online registration system. University of Florida Distance Learning graduates can also join the school’s large alumni network. The University of Florida is accredited by the Southern Association of Colleges and Schools (SACS) and the Association to Advance Collegiate Schools of Business (AACSB International). The University of Massachusetts (UMass), a public university system established in 1863, enrolls about 71,000 students across five campuses. The University of Massachusetts consists of four universities, a satellite campus, and a medical school. UMass Online offers a variety of bachelor’s, master’s, and doctoral degree programs, including associate’s degrees in information technology and sustainable food and farming; and over forty bachelor’s degree programs, including degree completion programs in topics such as nursing, applied psychology, criminal justice, and more. UMass Online also provides more than forty online master’s degree programs in topics including gerontology, security studies, and criminal justice; four doctoral programs; and dozens of certificate programs. Online students receive instruction from the same faculty, earn the same degrees, and attend the same graduation ceremony as on-campus students. UMass Online students also have access to a host of services, such as library help, fellowship advising, and academic counseling. UMass Online received the Excellence in Distance Teaching Education award from the United States Distance Learning Association (USDLA). The University of Massachusetts is accredited by the New England Association of Schools and Colleges (NEASC). The Association to Advance Collegiate Schools of Business (AACSB International) provides accreditation to the University of Massachusetts branches in Amherst, Boston, Dartmouth, and Lowell. Boston University, a nonsectarian, private research university established in 1839, enrolls about 33,000 students across eighteen colleges and schools. Boston University, one of the largest independent, non-profit universities in the United States, also operates one of the strongest private research programs in the country. BU boasts more than 250,000 alumni worldwide. The University offers a variety of bachelor’s, master’s, doctoral, and professional degrees. Boston University’s online school offers a numerous undergraduate courses and degree programs and eighteen online master’s degree programs, including management, taxation law, and art education. Boston University also offers online doctoral programs in music education and occupational therapy. BU also offers more than a dozen online certificate programs. Boston University’s online students have access to a variety of traditional services, including library resources, career services, and tutoring. A member of the Association of American Universities (an association of excellent North American research universities), Boston University is accredited by the New England Association of Schools and Colleges (NEASC). Boston University’s School of Management holds accreditation from the Association to Advance Collegiate Schools of Business (AACSB International). Northeastern University, a private, non-profit research university established in 1898, enrolls about 20,000 students across nine colleges and schools, including graduate campuses in North Carolina and Washington state. With nearly 200 programs leading to a variety of bachelor’s, master’s, and doctoral degrees, Northeastern is a leader in cooperative education and experimental learning. Northeaster boasts over sixty online degree programs, including a variety of online bachelor’s degrees such as English, finance, and political science; more than two dozen online master’s degrees, including project management, respiratory care, leadership, and homeland security; and doctoral degrees in education and transitional physical therapy. Northeastern also offers over twenty online certificate programs. Northeastern University is accredited by the New England Association of Schools and Colleges (NEASC). Northeastern University’s D’Amore–McKim School of Business also holds accreditation from the Association to Advance Collegiate Schools of Business (AACSB International). Indiana University, a public university system founded in 1820, enrolls over 110,000 students across nine campuses and two centers, and offers a host of degree programs. Boasting over 580,000 alumni, Indiana University–Bloomington attracts students from all over the world. IU Online offers hundreds of online classes and more than 100 online degrees and academic certificate programs. Students can pursue a variety of associate and bachelor degree programs, including nine degree completion programs such as business administration, mathematics, political science, and nursing. IU Online offers over two dozen online master degree programs ranging from strategic management to social work to data science and more. Students also can earn doctoral degrees in instructional systems technology, nursing practice, and nursing science. Online students also can choose from a variety of certificate programs. IU Online students have access to the school’s libraries and technology resources. Indiana University is accredited by the Higher Learning Commission (HLC). The Association to Advance Collegiate Schools of Business (AACSB International) provides accreditation to Indiana University–Bloomington and Indiana University–Indianapolis. Arizona State University (ASU), a public research university founded in 1885, is the largest public university in the United States by enrollment. ASU enrolls over 80,000 students across sixteen colleges and schools and offers a variety of bachelor, master, and doctoral degrees. ASU is one of the world’s top universities for business incubation. ASU Online offers over 150 100% online degree programs including bachelor’s, master’s, and doctoral degree programs, and a variety of certificate programs through ASU Online. Online degree offerings include bachelor’s degrees in art history, business, film, and justice studies. The university also offers master’s degrees in legal studies, nutrition, English, electrical engineering, and more. Students can pursue doctoral degrees in behavioral health and leadership and innovation. ASU Online students have access to enrollment counselors, academic advisers, and success coaches. ASU Online offers six start dates each year. Online students have flexibility to complete coursework on their own schedule. Some ASU Online courses require specific log-on times, and most have set assignments and deadlines. Arizona State University is accredited by the Higher Learning Commission (HLC). The Association to Advance Collegiate Schools of Business (AACSB International) provides accreditation to Arizona State University’s W.P. Carey School of Business. The University of Minnesota–Twin Cities, a public, land-grant, Sea Grant, space-grant university founded in 1851, enrolls more than 51,000 students. The flagship of the University of Minnesota System, the university offers more than 300 undergraduate and graduate degree programs across nineteen schools and colleges. The university offers a variety of online degrees. Students can complete most of the programs fully online, but some programs require on-campus visits. The University provides an array of online bachelor degrees in topics such as applied health manufacturing management, entrepreneurship, and communication. Students can choose from a variety of master’s degrees ranging from tribal administration and governance to computer science to and maternal and child health. The University offers online doctoral programs including in adult health/gerontological clinical nurse specialist, international education, nurse-midwifery and more. Online students have access to financial aid, technical support and library resources. The University of Minnesota is accredited by the Higher Learning Commission (HLC). The University of Arizona (UA), a public research university founded in 1885, enrolls about 42,000 students. UA offers more than 330 programs of study leading to a host of undergraduate, graduate and professional degrees. Through UA Online, the University of Arizona offers more than eighty online degree programs including online bachelor’s degrees ranging from Africana studies to early childhood education to communication as well as online master’s degrees, including those in geographic information system (GIS) technology; mining, geological and geophysical engineering, and library and information science. Students can earn their degrees fully online. Students have access to online coursework 24/7. UA Online students have access to technical support and an online orientation. Some courses follow an asynchronous format, although others may require scheduled discussion sessions or online meetings. The University of Arizona is accredited by the Higher Learning Commission (HLC). Several of the university’s programs also received specialized accreditation such as from the Engineering Accreditation Commission of the Accreditation Board for Engineering and Technology (ABET). Oregon State University (OSU), a public research university, founded in 1868, enrolls more than 30,000 students across a dozen colleges and a graduate school. OSU, a prominent research school, has nationally recognized programs in areas such as agricultural sciences, forestry, fisheries, community health, pharmacy, and wildlife management. OSU is one of only six educational institutions in the United States with a land-grant, space-grant, and sea-grant designations. OSU also has a sun-grant designation. Oregon State University offers more than 200 bachelor’s, master’s, and doctoral degree programs, and is home to the internationally renowned Center for Gene Research and Biotechnology. The university offers more than 900 online courses and a host of degree programs through OSU Ecampus. The online offerings include online bachelor’s degrees in topics ranging from anthropology to German to sustainability; online master’s degrees such as executive leadership, counseling, and natural resources; and doctoral degrees in education and counseling. The online school also offers certificate programs, as well as chemistry and foreign language courses. OSU Ecampus allows students to access course materials on their schedule and earn the same degree as on-campus students. Online students have access to a host of student services such as library resources, career services, 24/7 tutoring help, and counseling services. Oregon State University is accredited by the Northwest Commission on Colleges and Universities (NWCCU). The Association to Advance Collegiate Schools of Business (AACSB International) provides accreditation to Oregon State University’s College of Business. Drexel University, a private research university founded in 1891, offers nearly 200 programs leading to a variety of undergraduate, graduate (including doctoral), and professional degrees. Drexel University enrolls about 25,500 students across more than a dozen colleges and schools and boasts one of the nation’s largest cooperative education programs. Drexel University Online provides over 140 online degree and certificate programs. The university awards online bachelor’s degrees in subjects such as business administration, criminology, computing and security technology, and psychology; and a large number of online master’s degree programs ranging from communication to systems engineering to cybersecurity. Drexel University Online provides a variety of certificate programs, as well as doctoral programs in educational leadership and management and nursing practice. Drexel offers some of its degree programs in an accelerated format. Online students receive instruction from the same faculty and earn the same degrees as on-campus students. Drexel University received the Sloan-C Award for Excellence in Institution-Wide Online Education. Drexel University is accredited by the Middle State Commission on Higher Education (MSCHE). The Association to Advance Collegiate Schools of Business (AACSB International) provides accreditation to Drexel University’s Breech School of Business Administration and Economics. Florida State University (FSU), a sea-grant and space-grant public research university founded in 1851, consists of sixteen colleges and more than 100 facilities, centers, facilities, and labs. Florida State University, known for its nationally ranked academic programs, enrolls about 42,000 students in more than 300 programs of study leading to a variety of undergraduate, graduate, and professional degrees. All the colleges and schools provide graduate degrees. FSU provides combined BA/MA programs. FSU has strong foundations in the sciences, with meteorology, biology, and chemistry ranked among the school’s best programs. Through the Office of Distance Learning, FSU offers online degrees with courses which follow a semester schedule. Florida State University’s online undergraduate degree programs require students to have completed sixty or more semester hours of transferable credit, including all liberal arts requirements. Florida State University offers online bachelor’s degrees in public safety and security, computer science, criminology, and interdisciplinary social science; a variety of online master’s degrees such as business administration, communication disorders, criminology, educational leadership/administration, and nurse educator; online post-master’s degree programs in educational leadership/administration, and library and information systems; and numerous online certificate programs. FSU offers most online courses in an asynchronous format. Florida State University is accredited by the Southern Association of Colleges and Schools (SACS). The Association to Advance Collegiate Schools of Business (AACSB International) provided accreditation to Florida State University’s College of Business. Washington State University (WSU), a non-profit, public research university founded in 1890, enrolls about 28,000 students. A land-grant university, Washington State University offers 200 fields of study leading to bachelor, master, and doctoral degrees. WSU has received recognition for numerous programs, including animal science, food science, plant science, chemical engineering, veterinary medicine, and architecture. Launched in 2012, Washington State University’s Global Campus offers a variety of online bachelor’s degrees such as accounting, criminal justice, hospitality business management, and psychology; and a variety of online master’s degrees in topics including special education, agriculture, molecular biosciences, and criminal justice. Students also can pursue a host of online certificates, as well as three teaching endorsements. Washington State University faculty and instructors teach the Global Campus courses, based on the same principles as the on-campus programs. Online students have access to academic advisers, 24/7 tech support, free online tutoring, and a writing lab. Washington State University is accredited by the Northwest Commission on Colleges and Universities (NWCCU). The Association to Advance Collegiate Schools of Business (AACSB International) provides accreditation to Washington State University’s Carson College of Business. The University of Missouri, a public research university founded in 1839, enrolls about 35,400 students across nineteen academic colleges. The university has students from every state in the nation and from about 120 countries. The University of Missouri, the flagship of the University of Missouri System, offers more than 300 programs leading to a variety of bachelor’s, master’s, and doctoral degrees. The University of Missouri offers more than ninety online degrees and certificates through Mizzou Online. Degree offerings include ten bachelor’s degrees, such as health sciences, early childhood education, nursing, and hospitality management; more than forty master’s degree in topics including architectural studies, gerontology, and interactive media; ten doctoral programs ranging from education to nursing; and a variety of certificate programs. The university also offers education specialist programs. Students can complete most programs 100 percent online, but some do require on-campus attendance. Students should check their specific program before enrolling. The semester-based courses have the same enrollment period as traditional on-campus classes. Online and on-campus courses also often have the same start and end dates. Online students have flexibility to complete assignments on their schedule by specific deadlines. Online courses may have synchronous and asynchronous elements. The University of Missouri–Columbia is a member of the Association of American Universities (an association of excellent North American research universities). The University of Missouri is accredited by the Higher Learning Commission (HLC). The Association to Advance Collegiate Schools of Business (AACSB International) provides accreditation to University of Missouri’s Robert J. Trulaske Sr. College of Business. The University of Central Florida (UCF), a public, space-grant, research university founded in 1963, offers more than 200 degree programs through twenty-four colleges and satellite campuses. A member of the State University System of Florida, UCF enrolls more than 60,000 students worldwide and boasts an alumni network of 230,000. The university has students from fifty states and more than 140 countries. UCF is the nation’s second-largest university. The University of Central Florida provides more than eighty online degrees and certificates. The university offers more than twenty online bachelor’s degree programs such as criminal justice, health services administration, political science, sociology and more. The university also offers more than twenty online master’s degree programs, such as English, educational leadership, digital forensics, and more. The University of Central Florida requires students enrolled in dissertation or thesis to present their final defenses on campus. The university offers bachelor degree completion programs for students who hold an associate’s degree or have comparable transfer credits. The bachelor’s degree completion programs include anthropology, Latin American studies, nursing, and criminal justice. Some programs require students to complete internships, clinical experiences, or a practicum. The university also offers more than twenty master’s degree programs, such as English, educational leadership, digital forensics, and more. The university requires students enrolled in a dissertation or thesis to present their final defenses on campus. The school provides an array of online graduate certificates as well as three online doctorates in nursing programs. Online students have access to the university’s library resources. The University of Central Florida is accredited by the Southern Association of Colleges and Schools (SACS). The Association to Advance Collegiate Schools of Business (AACSB International) provides accreditation to the University of Central Florida’s College of Business Administration. The University of Denver, a private university founded in 1864, enrolls more than 11,500 students. The university offers more than 220 programs of study leading to undergraduate, graduate and professional degrees. Through its University College, the University of Denver provides a host of degrees completely online. Students can pursue online bachelor’s degrees in communication arts, leadership and organizational studies, global studies, global commerce and transportation, environmental studies, and information technology. The school offers a variety of online master’s degrees in topics such as global affairs, communication management, strategic human resources, information and communications technology, healthcare leadership, and more. The university offers a number of online certificate programs. The online courses follow an asynchronous format, allowing students to complete coursework on their schedule. The University of Denver is accredited by the Higher Learning Commission (HLC). Rochester Institute of Technology (RIT), a private university founded in 1829, consists of nine academic colleges, including the National Technical Institute for the Deaf. Rochester Institute of Technology, a career-oriented technology-focused school, enrolls more than 18,000 students in more than 200 academic programs leading to bachelor’s, master’s, and doctoral degree programs. RIT has students from all fifty states and from more than 100 countries. RIT belongs to the Rochester Area College Consortium, a conglomeration of colleges and universities. Besides technology and science programs, RIT provides programs in business, arts and design, and liberal arts. Every RIT academic program provides students some type of experimental education opportunity, such as cooperative education, internships, study abroad, or undergraduate research. The RIT Cooperative Education program, one of the world’s largest, provides students career-related work experience in numerous degree programs. Rochester Institute of Technology, through RIT Online, offers an online Associate degree in Applied Arts and Science degree and online bachelor’s degree programs in applied arts and sciences and applied technical leadership; five online master’s degree programs; and five online advanced certificate programs. RIT Online offers several start dates each year and allows students flexibility to complete coursework on their schedule. RIT Online students have access to enrollment advising and academic support. The instructors who teach the on-campus classes also teach the online classes. Rochester Institute of Technology is accredited by the Middle States Commission on Higher Education (MSCHE). The Association to Advance Collegiate Schools of Business (AACSB International) provides accreditation to Rochester Institute of Technology’s Saunders College of Business. The University of Alabama (UA), a public, sea-grant, space-grant university founded in 1820, is among the largest public universities in the state with 37,600 students enrolled. The flagship of the University of Alabama System, UA offers a host of undergraduate and graduate programs. The University of Alabama allows students to complete dozens of degree programs fully online, including a doctor of nursing practice. Online students can pursue about a dozen bachelor’s degrees, such as those in engineering, early childhood education, consumer sciences, nursing, and more. The university provides nearly forty online graduate degrees, in topics ranging from management to education to law. UA offers online graduate certificate programs in consumer conflict management, negotiation and mediation, as well as environmental health and safety management. The same faculty teach UA’s online and on-campus courses. The University of Alabama is accredited by the Southern Association of Colleges and Schools (SACS). Colorado State University (CSU), a public, land-grant university founded in 1870, enrolls about 32,200 students. The flagship of the Colorado State University System, the school offers 150 degree programs across eight colleges. CSU Online provides a host of online degrees. Students can pursue eight bachelor’s degrees, such as agricultural business, economics, human development and family studies, and interdisciplinary liberal arts. CSU Online offers thirty online master’s degree options, including agricultural extension education, business administration, dietetics, and social work. Students can pursue online doctorates in systems engineering and higher education leadership. Some programs require on-campus sessions. The same faculty teach the university’s on-campus and online courses. Colorado State University is accredited by the Higher Learning Commission (HLC). The school also holds accreditation from Association to Advance Collegiate Schools of Business (AACSB International). The University of Cincinnati, a public, space-grant university founded in 1819, is among the largest universities in the state with more than 40,000 students enrolled. A member of the University System of Ohio, the University of Cincinnati offers more than 600 programs of study, leading to a host of undergraduate, graduate, and professional degrees and certificates. The university offers more than ninety online degree and certificate programs. Students can pursue undergraduate degrees in early childhood education, radiation science technology, criminal justice, substance abuse counseling, among others. Online students can earn master’s degrees ranging from medical education for health care professionals to taxation to pharmaceutical sciences. Students can complete a number of general education courses and certificate programs online. Students have access to an online orientation, academic advising, library resources and tutoring. Kansas State University, a public, land-grant, space-grant university founded in 1863, enrolls about 24,700 students. The university offers a host of undergraduate, graduate and doctoral degrees through nine colleges, including those in veterinary medicine, human ecology, and aviation. Kansas State University Global Campus provides more than seventy online programs in a wide array of academic areas. The Global Campus offers online undergraduate and graduate degrees, certificates and endorsements. Online offerings include a variety of bachelor’s degrees, such as dietetics, general business, nutrition and health, and technology management; an array of master’s degrees ranging from software engineering to youth development to mechanical engineering; numerous certificates such as adult learning, data analytics, educational technology, organizational leadership; and a doctorate in personal financial planning. The Global Campus allows students flexibility to attend the school online and take classes wherever they are. Online students have access to tech support, the campus store and academic advising. Kansas Sate University is accredited by the Higher Learning Commission (HLC). Several of the programs also hold specialized accreditations, including those from the Association to Advance Collegiate Schools of Business (AACSB International) and the National Council for Accreditation of Teacher Education (NCATE). Rutgers University–New Brunswick, a public, land-grant, flagship university founded in 1766, is the oldest campus of Rutgers University. The university enrolls more than 40,000 students. A member of the Association of American Universities, the university offers hundreds of programs leading to undergraduate, graduate and professional degrees across eighteen colleges and schools. Through Rutgers Online, Rutgers University provides fifteen completely online undergraduate and graduate degree programs. Online students can complete three bachelor’s degree programs in nursing, business administration, and labor and employment relations, as well as twelve master’s degrees in social work, public administration, information, education, biomedical engineering, and more. Students have access to course materials 24/7 providing them with the flexibility to complete coursework on their schedule. Students have access to library resources. The University of Arkansas (UA), a public, land-grant, space-grant, coeducational university founded in 1871, has an enrollment of more than 26,000 students. The flagship of the University of Arkansas System, UA offers nearly 200 undergraduate, graduate and professional degree programs. Through its Global Campus, UA offers five online bachelor’s degrees in communication, general business, human resource and workforce development education, interdisciplinary studies, and nursing. Online students can pursue twenty master’s degrees, including those in business administration, physical education, adult and lifelong learning, social work and engineering. UA offers online, four doctorates in adult and lifelong learning, educational leadership, nursing practice, and human resource and workforce development, as well as two educational specialist degrees, more than a dozen certificates, and several minors. The University of Arkansas is accredited by the Higher Learning Commission (HLC). The university also holds accreditation from the Association to Advance Collegiate Schools of Business (AACSB International) and the National Council for Accreditation of Teacher Education (NCATE). Liberty University is a private, non-profit Christian university which has been training Champions for Christ since 1971, and pioneering distance education since 1985. Liberty University, the largest private, non-profit university in the United States and the largest Christian university in the world, enrolls more than 110,000 students on campus and online. Liberty University offers about 250 online programs leading to bachelor’s, master’s, and doctoral degrees in a variety of topics, covering social sciences, hard sciences, liberal studies, business studies, education, and more. Liberty University Online offers eight-week online courses, taught from a Christian worldview. Liberty University Online allows students to earn an associate and bachelor degrees fully online from a selection of dozens, in topics such as accounting, early childhood education, paralegal studies, aeronautics, and business. Students can pursue dozens of master’s degree programs ranging from business to counseling to Christian ministry, as well as doctoral programs in business, counseling, education, seminary, and nursing. Some of the master’s and doctoral courses require one-week to two-week on-campus intensives. Students should check the program before enrolling. Students can access course materials at their convenience, but they must meet set deadlines for coursework. Liberty University is accredited by the Southern Association of Colleges and Schools (SACS). Robert Morris University, a private, coeducational university founded in 1921, enrolls more than 5,000 students. Robert Morris University, distinct from the similarly named school in Illinois, offers more than eighty programs leading to bachelor, master, and doctoral degrees through five academic schools. The university emphasis engaged learning. Robert Morris University offers fully online degrees through RMU Online. Online degree offerings include eight undergraduate programs such as cyber forensics information security, nursing, and organizational leadership. RMU Online also offers more than a dozen graduate programs such as engineering management, instructional leadership, nursing, higher education, and data analytics systems. The same faculty design and teach on-campus and online courses. Students can pursue a variety of undergraduate and graduate certificates ranging from English as a second language to nutrition. RMU Online students have access to career services, tech help, and a student services representative. Robert Morris University is accredited by the Higher Learning Commission (HLC). The Association to Advance Collegiate Schools of Business (AACSB International) provides accreditation to Robert Morris University’s School of Business. The University of Alabama at Birmingham, a public university founded in 1969, enrolls more than 18,500 students worldwide. A member of the University of Alabama System, the University of Alabama at Birmingham consists of twelve academic divisions offering 140 programs of study leading to a variety of undergraduate, graduate (including doctoral), and professional degrees. The UAB Health System, one of the nation’s largest academic medical centers, has an affiliation with the university. Through UAB Online, the University of Alabama at Birmingham offers a host of fully online programs, as well as distance accessible and blended programs. Online programs include a dozen bachelor’s degrees in areas such as health care management, marketing, finance, psychology, and more. Students may choose from a selection of over twenty master’s degree programs covering areas such as sociology, elementary education, and civil structural engineering. Students also can complete a handful of doctoral programs in education topics through UAB Online. Online students have access to 24/7 technical support and library resources. Students can complete most online courses 100 percent online, but some instructors do require an orientation, on-campus presentations, or proctored exams. Students should check with the university if on-campus visits are not possible due to distance. The University of Alabama–Birmingham is accredited by the Southern Association of Colleges and Schools (SACS). The Association to Advance Collegiate Schools of Business (AACSB International) also provides accreditation to University of Alabama–Birmingham’s Collat School of Business. The University of North Dakota, a public research university established in 1883, enrolls nearly 15,000 students across ten academic divisions. The University of North Dakota, the largest and oldest university in the state, offers more than 220 programs of study leading to a variety of bachelor’s, master’s, and doctoral degrees, as well as professional degrees in medicine and law. The University of North Dakota specializes in areas such as aerospace, energy and environmental protection, engineering research, health sciences, and nutrition. The University of North Dakota Online & Distance Education offers eleven bachelor’s degree online programs, including civil engineering, communication, psychology, and social work, as well as an accelerated Bachelor of Science in Nursing program for those who already holds a bachelor’s degree in another field. Online students can complete over twenty master’s degree programs, including aviation, elementary education, and space studies as well as more than a dozen online graduate certificate programs. Students may also pursue twelve different doctoral programs, including nursing, electrical engineering, and higher education. The university’s online courses feature the same curriculum, lectures, and deadlines as their on-campus counterparts. University of North Dakota offers students two types of courses: self-paced, independent study, which allow students to enroll at any time and take up to nine months to complete each course; and semester-based courses, which follow the university’s standard schedule. The University of North Dakota is accredited by the Higher Learning Commission (HLC). The Association to Advance Collegiate Schools of Business (AACSB International) provides accreditation to the University of North Dakota’s College of Business and Public Administration. Colorado State University–Global Campus, an online, public university founded in 2007, offers a host of bachelor’s completion and master’s degrees, as well as undergraduate and graduate certificate programs. A member of the Colorado State University System, Colorado State University–Global Campus enrolls more than 7,000 students. The Colorado State University–Global Campus degree offerings include more than a dozen bachelor completion programs, such as accounting, communication, project management, and organizational leadership. Colorado State University Global Campus also offers eleven master’s degree programs in areas ranging from management to criminal justice to healthcare administration. Every major field of study includes numerous specializations that allow students to customize their coursework to a specific concentration. Students may also choose from a wide selection of undergraduate and graduate certificate programs. The classes begin every four weeks. Students can earn their degree 100 percent online and on their own schedule. CSU–Global offers classes in an asynchronous format and students can access coursework any day or time. Colorado State University–Global Campus is accredited by the Higher Learning Commission (HLC). The University of South Florida (USF), a public, space-grant university founded in 1956, is among the largest in the state with more than 48,000 students enrolled. A member of the State University System of Florida, USF offers more than 210 undergraduate, graduate, specialist and doctoral programs through more than a dozen colleges. USF offers a host of online degree programs and hundreds of online courses. Students can pursue eight online bachelor’s degree programs, including information studies, nursing, criminal justice, and women’s and gender studies. The University of South Florida offers twenty-eight online master’s degree programs ranging from music education to engineering management to pharmaceutical nanotechnology, as well as an online doctorate in career and workplace education. Students may pursue dozens of undergraduate certificates. The university offers twenty-eight master’s degree programs ranging from music education to engineering management to pharmaceutical nanotechnology. Some programs may require practica, internships, or clinical experiences. Students have access to services. The University of Southern Florida is accredited by the Commission on Colleges of the Southern Association of Colleges and Schools (SACS). The University of Illinois at Chicago (UIC), a public university founded in 1913, is among the largest universities in the Chicago area with about 29,000 students enrolled in more than a dozen colleges. Part of the University of Illinois system, UIC offers a variety of undergraduate and graduate degree programs. UIC offers three bachelor’s degree programs in business administration, health information management, and nursing, as well as eight master’s degrees in health informatics, engineering, public health, and more. The university offers an online doctor of public health in leadership, as well as dozens of certificate options. UIC’s online courses follow an asynchronous format, allowing students to complete coursework on their own schedule by set deadlines. The University of Illinois at Chicago is accredited by the Higher Learning Commission (HLC). The university also holds accreditation from the Liaison Committee on Medical Education (LCME), the Association to Advance Collegiate Schools of Business (AACSB International), and more. The University of Oklahoma (OU), a co-educational, public, space-grant, research university founded in 1890, is older than the state of Oklahoma. OU enrolls about 31,250 students and offers more than 300 undergraduate and graduate degree programs as well as seventy-five doctoral programs and nearly two dozen first-professional majors. Through OU Outreach, which consists of the College of Continuing Education and the College of Liberal Studies, students can pursue more than twenty programs focused on community and social services, business and public services, and education services. OU Outreach delivers more than thirty program formats and about 3,000 courses annually to students in Oklahoma and beyond. OU Outreach is home to a range of centers and institutes including the American Indian Institute, the Southwest Center for Human Relations Studies, the Center for Public Management, the Public Service Institute, and the Center for Early Childhood Professional Development, among others. The University of Oklahoma is accredited by the Higher Learning Commission (HLC). The Ohio State University (OSU), a land-grant, space-grant, sea-grant, public university, began in 1870 with a focus in mechanical and agricultural disciplines and has grown into a comprehensive university. Among the largest university campuses in the nation, OSU enrolls about 60,000 students on its main Columbus campus with more than 66,000 across all campuses. The university also boasts more than 475,000 living alumni worldwide. Ohio State Online features the same rigorous, innovative programs – and the same world-renowned faculty — as OSU’s traditional on-campus programs. Students can pursue a handful of undergraduate programs, more than a dozen master’s degrees and a Doctor of Nursing Practice all in a convenient, flexible, online format. Many of OSU’s online programs feature rolling admissions and offer students full- and part-time options. OSU also offers the same tuition rate for online students regardless of their residency. Online students also have access to a host of services, including advising, career services, and library resources, among others. Ohio State University is accredited by the Higher Learning Commission (HLC). George Washington University (GW), a private, research university founded in 1821, is among the largest and oldest institutions of higher education in the District of Columbia. With more than a dozen undergraduate and graduate schools and colleges, GW offers degrees programs in seventy-one disciplines and enrolls more than 27,000 students from around the world. The university’s diverse faculty provides students with a world-class education – whether they attend the school online or on-campus. GW Online features online programs ranging from business to liberal arts to medicine and more. Students can complete a host of online degrees including undergraduate, master’s, education specialist and doctoral as well as certificates. GW Online boasts a low student-instructor ratio, providing students with personalized attention. Online students also have access to a range of support services, including career services, library resources, the writing center and bookstore. George Washington University is accredited by the Middle States Commission on Higher Education. The University of Louisville, a public university founded in 1798, enrolls more than 22,000 students from around the world. A member of the Kentucky State University System, the university offers 204 programs of study across a dozen schools and colleges, leading to a host of bachelor, master and doctoral degrees. The university offers fifteen online programs, including six bachelor’s degrees in areas such as nursing, organizational leadership and learning, and communication, and nine master’s degrees in areas such as social work, civil engineering, and computer science. Online students can pursue a handful of graduate certificates and teaching endorsements as well as a competency-based degree in healthcare leadership. The same faculty teach the university’s online and on-campuses courses and all follow the same semester calendar. Online students have access to an online bookstore and library resources. The University of Louisville is accredited by the Southern Association of Colleges and Schools (SACS). The university’s programs also hold specialized accreditations, including those from the Association to Advance Collegiate Schools of Business (AACSB International), the National Council for Accreditation of Teacher Education (NCATE) and the Engineering Accreditation Commission of Accreditation Board for Engineering and Technology (ABET). Texas Tech University, a public research university established in 1923, is among the largest in the state with more than 36,000 students enrolled. The flagship of the Texas Tech University System, Texas Tech offers about 300 programs of study, leading to a variety of undergraduate, graduate and professional degrees. TTU Worldwide eLearning provides a variety of online degree programs. Online courses feature lectures, threaded discussions and virtual meetings. Some programs require campus visits. Students can complete eight bachelor’s degrees including early childcare, plant and soil sciences, applied leadership, and human sciences. The University provides online master’s degree program options in English, engineering, software engineering, horticulture, and more. Texas Tech University provides seven doctoral degree options in areas such as agricultural education, systems and engineering management higher education, and technical communication and rhetoric, as well as a number of graduate certificates. Texas Tech University is accredited by the Southern Association of Colleges and Schools (SACS). The university also holds Association to Advance Collegiate Schools of Business (AACSB International) accreditation, among others. West Virginia University (WVU), a public, space-grant, land-grant university founded in 1867, enrolls about 29,000 students. The university offers nearly 200 undergraduate, graduate, and professional degrees through more than a dozen colleges. Through its Online and Extended Campus, West Virginia University provides thirty-four online degree and six certificate programs. Online students can earn four bachelor’s degrees, including, child development and family studies, multidisciplinary studies, nursing, and the Regents Bachelor of Arts. West Virginia University also offers thirty online graduate degree programs, including twenty-five master’s degrees ranging from business data analytics to physical education, to public health, as well as five doctoral programs in areas such as nursing and education. Some courses require live sessions, while others may have short-term residency requirements. Online students have access to the bookstore and library resources. WVU does not offer online programs to residents in New York, Massachusetts or Connecticut. West Virginia University is accredited by the Higher Learning Commission (HLC), and also received accreditation from the National Council for Accreditation of Teacher Education (NCATE). The University of New Mexico (UNM), a public university established in 1889, is among the largest post-secondary institutions in the state with more than 27,000 students enrolled. The state’s flagship institution, UNM offers a variety of undergraduate, graduate and professional degree programs and certificates. Through UNM Online, the university allows students to pursue a variety of degree and certificate programs. UNM Online offers bachelor’s-completion programs in Native American studies, liberal arts, dental hygiene, and communication, among others. The University of New Mexico Online offers nine bachelor’s completion programs in Native American studies, liberal arts, dental hygiene, and radiology, among others. The University of New Mexico provides seven online master’s degree programs including elementary education, secondary education, and construction management. Students may also pursue certificates in educational leadership, or organization, information, and learning sciences. The university offers courses with synchronous and asynchronous elements. Online students have access to tech support, career services and academic advising. The university does not offer online programs to residents in New York or Kentucky. The University of New Mexico is accredited by the Higher Learning Commission (HLC), and also holds Association to Advance Collegiate Schools of Business (AACSB International) accreditation. Ball State University (BSU), a public, university founded in 1918, enrolls about 21,100 students from around the world. A member of the American Association of State Colleges and Universities, BSU offers more than 175 undergraduate degrees, about 100 master’s and seventeen doctoral degree programs through seven colleges. Students can pursue more than seventy online programs. The school offers six online bachelor’s degrees in business administration, early childhood education, criminal justice and criminology, general studies, and nursing, and applied behavior analysis. Students may also pursue over twenty online master’s degrees, in areas such as journalism, technology education, and urban design. Ball State University offers an associate’s degree in general studies as well as undergraduate certificates in infant/toddler, and apartment management. Students can complete nearly two dozen online master’s degree programs, such as business administration, career and technical education, journalism, and quantitative psychology. Some programs require on-campus visits. Online students can pursue four doctoral degree options, including adult, higher and community education, and nursing practice. The doctorate in educational administration and supervision, as well as education specialist in superintendency require on-site courses. The school offers an online education specialist degree, graduate certificates and licenses for educators. The same faculty teaches the on-campus courses and the online courses. Courses follow an asynchronous format, allowing students to finish coursework on their schedule by set deadlines. Online students have access to the writing center, tutoring, library resources and tech support. The University of Minnesota–Crookston, a public baccalaureate university established in 1966, enrolls nearly 2,000 students from around the world. A member of the University of Minnesota system, the University of Minnesota Crookston offers about thirty undergraduate degree programs through four academic departments: Business; Liberal Arts and Education; Agriculture and Natural Resources; and Math, Science, and Technology. The university has created niches in technical, scientific, and professional fields. The school’s most popular programs include business and natural resources. The University of Minnesota Crookston offers fourteen fully online bachelor’s degree programs, covering areas such as accounting, communication, quality management, finance, and sport and recreation management. Students also can pursue a handful of minors and certificates. The University of Minnesota Crookston offers classes on a semester basis with three start dates each year: spring, summer, and fall. Online students have access to course materials 24/7, as well as library resources. The University of Minnesota Crookston is accredited by the Higher Learning Commission (HLC). Northern Arizona University (NAU), a public university founded in 1899, offers nearly 150 programs leading to bachelor, master, and doctoral degrees through its main campus, as well as dozens of satellite campuses. Northern Arizona University enrolls more than 27,700 students. Northern Arizona University offers online classes and programs through NAU–Extended Campuses. Students can pursue over forty online bachelor’s degree programs in diverse areas such as criminal justice, respiratory care, liberal arts, justice psychology, and parks and recreation management. Students may also pursue over twenty master’s degrees ranging from administration to nursing to educational leadership. Northern Arizona University offers an online doctorate in nursing practice as well as a host of minors and certificates. NAU–Extended Campuses offers most courses in an asynchronous format, allowing students to complete coursework on their schedule. The university’s Personalized Learning program offers self-paced online degrees. Online students have access to 24/7 technical support, tutoring, campus resources, and online library resources. Northern Arizona University is accredited by the Higher Learning Commission (HLC). The Association to Advance Collegiate Schools of Business (AACSB International) also provides accreditation to Northern Arizona University’s W.A. Franke College of Business. Florida Institute of Technology, a private doctoral/research university founded in 1958, offers programs through five academic divisions with emphases on engineering, technology, science, and mathematics. Florida Institute of Technology, commonly known as Florida Tech, enrolls about 16,000 students and boasts more than 60,000 alumni. Florida Tech has graduate and undergraduate students from all fifty states and from over 100 countries. Florida Tech has trained many NASA scientists and astronauts. The school also operates an array of science-focused research centers and institutes. The university’s undergraduate offerings include ten associate’s degrees in topics such as accounting, healthcare management, and computer information systems, as well as seventeen bachelor’s degrees, including applied psychology, aviation management, and criminal justice. The university’s undergraduate offerings include eight associate’s degrees in topics such as accounting, healthcare management, and computer information systems; and more than a dozen bachelor’s degrees, including applied psychology, aviation management, and criminal justice. For graduate offerings, students can pursue nineteen different master’s degrees, including MBAs, information technology, and supply chain management. Students may also choose from four different graduate certificates. Florida Tech offers classes in eight-week terms. Students can complete coursework on their own schedule by set deadlines. Florida Institute of Technology is accredited by the Southern Association of Colleges and Schools (SACS). Loyola University Chicago, a private university founded in 1870, is among the largest Catholic universities in the nation. Through nearly a dozen schools and colleges, students can pursue more than eighty undergraduate and 140 graduate and professional programs. Loyola has an enrollment of about 16,000 and boasts more than 150,000 alumni. Loyola’s educational experience emphasizes the Jesuit tradition of service that promotes justice, commitment to excellence, global awareness, and values-based leadership. Loyola has a long history of quality online education – offering its first online degree in 1998. Loyola Online features rigorous, high-quality courses leading to a host of undergraduate, graduate and professional degrees as well as continuing education programs. Online students can choose from seven bachelor’s degree completion programs, twenty-one graduate programs and eighteen certificates. Students can complete some of them fully online. Loyola Online’s learner-centered courses prepare graduates for a range of career and further educational opportunities. Online students have access to a number of support services, such as career services, financial aid, library resources and tutoring, among others. Loyola University Chicago is accredited by the Higher Learning Commission (HLC). Creighton University, a private, coeducational, Catholic university founded in 1878, is among the largest private religious universities in the state. A member of the Association of Jesuit Colleges and Universities, Creighton University strives to educate the whole person – socially, spiritually and academically. Comprised of nine schools and colleges, the university enrolls more than 7,700 students. The university’s rigorous academic programs prepare graduates for successful careers in a rapidly changing global society. Creighton University Online enables students to earn more than twenty online bachelor’s, master’s and doctoral degrees and certificates, including those in public health, interdisciplinary leadership and health care ethics. Its online students receive balanced and challenging educational experiences with classes that follow an asynchronous format – allowing them to attend class on their schedule as long as they meet specific deadlines. Online students receive a designated Support Services Coordinator and have access to 24/7 technical support. Creighton University is accredited by the Higher Learning Commission (HLC). Part of the City University of New York, CUNY School of Professional Studies (CUNY SPS) is a public school established in 2003 to meet the educational needs of working adults, employers and organizations. The school offers more than a dozen bachelor-completion and master’s degrees programs – a majority of which feature an online format — as well as twenty certificate programs. The School of Professional Studies has the distinction of offering the first fully online degree programs at the City University of New York. The school’s programs incorporate interactive formats and emerging educational technologies. The online programs offer students flexibility and convenience. Students interact with instructors and classmates through a variety of formats, such as blogs, email, discussion boards, and ePortfolios. CUNY SPS offers in-state tuition rates for all students regardless of where they live. Students have access to a range of support services, including academic advisement, career services, and library resources, among others. CUNY SPS also houses the John F. Kennedy Jr. Institute for Worker Education and the Joseph S. Murphy Institute of Worker Education and Labor Studies. The CUNY School of Professional Studies is accredited by the Middle States Commission on Higher Education (MSCHE). Everglades University, a private college established in 1998, enrolls nearly 700 students. A small, not-for-profit college, Everglades offers nearly a dozen programs leading to bachelor and master degrees. The school’s mission includes providing quality education to adult learners of diverse backgrounds in a collaborative environment where every student has the opportunity to achieve personal growth. Everglades University’s offerings include online programs leading to bachelor’s degrees in eleven areas such as alternative medicine, construction management, crisis and disaster management, and international business. Students may also pursue four different online master’s degrees in business administration, aviation science, entrepreneurship, and public health administration. Students can customize their degrees with a variety of concentrations. Everglades University offers small class sizes, and online students earn the same degree as their on-campus counterparts. Everglades University is a member of numerous prestigious associations and societies. Everglades University is accredited by the Commission on Colleges of the Southern Association of Colleges and Schools (SACS). The University of Illinois–Springfield, a public university established in 1969, enrolls about 5,700 students. A member of the University of Illinois System, the University of Illinois–Springfield offers roughly forty undergraduate and graduate degree programs, as well as a doctorate in public administration. The University of Illinois–Springfield offers a dozen online bachelor’s degrees, in areas such as English, computer science, information systems security, and mathematics, as well as more than a dozen online master’s degrees such as public administration, environmental sciences, legal studies, and more. Online students can complete several minors and a variety of graduate and professional certificate programs. The same faculty teach the fully online, blended, and on-campus courses. The online students have access to tutoring and career services. The University of Illinois Springfield is accredited by the Higher Learning Commission (HLC). The Association to Advance Collegiate Schools of Business (AACSB International) also provides accreditation to the University of Illinois Springfield’s College of Business and Management. Western Kentucky University, a public university founded in 1906, enrolls about 21,000 students in more than 100 programs leading to a variety of bachelor’s, master’s, and doctoral degrees. Western Kentucky University consists of six undergraduate colleges and the Office of Graduate Studies and Research. Western Kentucky University’s degree offerings include more than ninety online programs and certificates. Online students can complete online associate’s degrees in early childhood education, interdisciplinary studies, and water resource management. The University offers fifteen bachelor degree and degree completion programs in management, dental hygiene, technology management, and systems management, criminology, health sciences, and more. Western Kentucky University’s online students can pursue more than twenty master’s degree programs in topics such as criminology, education, biology, and athletic training. Students may also complete a variety of minors and undergraduate certificates. Students have access to online tutoring, academic advising, library resources, and career services. Western Kentucky University is accredited by the Southern Association of Colleges and Schools (SACS). The Association to Advance Collegiate Schools of Business (AACSB International) also provides accreditation to Western Kentucky University’s Gordon Ford College of Business. Regis University, a private, coeducational, Roman Catholic university founded in 1877, enrolls nearly 10,000 students in a variety of undergraduate and graduate degree programs. A member of the Association of Jesuit Colleges and Universities, Regis University consists of three colleges: Regis College, the College for Professional Studies, and the Rueckert-Hartman College for Health Professions. Regis University’s degree offerings include more than two dozen undergraduate programs, such as computer networking, social science, and health care administration, as well as a bachelor’s completion program in nursing. Students may pursue over three-dozen master’s degree programs in topics including information assurance, criminology, education, nursing, and health services administration. Students can also pursue a host of certificate options. Regis University offers two online doctoral degree programs in nursing, and occupational therapy, as well as numerous undergraduate and graduate certificate options. Regis University offers students the flexibility to complete coursework on their own schedule. Mississippi State University (MSU), a public, land-, sea-, and space-grant university, founded in 1878, enrolls approximately 21,890 students. The university offers a variety of undergraduate and graduate degrees. Through the Center for Distance Education, MSU allows students to complete thirty-three online degrees ranging from bachelor’s degrees to doctorate degrees, as well as a handful of certificates. Online students can earn bachelor’s degrees in elementary education, geosciences, and interdisciplinary studies. Mississippi State University offers over twenty online master’s degree program options, including community college education, business administration, aerospace engineering, forestry, and more. Students seeking an online doctorate can choose from five options, including community college leadership, computational engineering, electrical and computer engineering, industrial and systems engineering, and engineering with several concentration options. Mississippi State University also offers several online certificate options. MSU’s online students have access to an orientation, tech support, library resources, and academic advising. Mississippi State University is accredited by the Southern Association of Colleges and Schools (SACS). Azusa Pacific University (APU), a private, evangelical Christian university founded in 1899, is among the largest in the Council for Christian College and Universities with about 10,700 students enrolled. APU offers more than 100 degree programs, ranging from associate to doctorate, as well as certificates and credentials. Online students can pursue forty online degree, certificate and credential programs, all taught from a Christian worldview. APU offers online undergraduate degrees, ranging from applied psychology to nursing to organizational leadership. Students may choose from seventeen online master’s programs, including MBAs, physical education, modern art history and more. Azusa Pacific University offers a variety of online graduate and undergraduate certificate program options. APU’s online courses follow an asynchronous format, allowing students to access course materials 24/7. Online students have access to the writing center, library resources and career services. Azusa Pacific University is accredited by the WASC Senior College and University Commission (WSCUC), and also holds accreditation from the Council on Social Work Education. The University of Colorado–Denver, a public nonprofit university established in 1912, enrolls more than 18,000 students. The university offers more than 140 degree programs. Through CU Online, the University of Colorado–Denver offers nine bachelor degree options and 15 online master’s degree programs. Online students may also pursue doctorates in pharmacy, nursing practice, nursing, and educational leadership. The University of Colorado–Denver is accredited by the Higher Learning Commission (HLC). The University of South Carolina (USC), a public nonprofit university founded in 1801, offers more than 350 programs of study leading to a variety of undergraduate and graduate doctoral degrees. University of South Carolina offers 14 online bachelor’s degree completion programs through Palmetto College. The University of South Carolina–Palmetto College is accredited by the Southern Association of Colleges and Schools (SACS). Missouri State University, a public university founded in 1906, enrolls more than 22,300 students worldwide. Missouri State offers 10 online undergraduate degree completion programs, 14 online master’s degree programs, and online doctorates in nursing practice and nursing anesthesia practice. Missouri State University is accredited by the Higher Learning Commission (HLC). New Mexico State University, a public nonprofit research university founded in 1888, enrolls about 18,400 students through its seven colleges and its graduate school. NMSU’s online offerings include bachelor degree completion programs, master’s degrees, and doctorates. New Mexico State University is accredited by the Higher Learning Commission (HLC). Southern Illinois University–Carbondale, a public university founded in 1869, enrolls nearly 16,000 students from around the world. The university offers more than 300 programs of study. Through its Extended Campus, the university offers 16 online bachelor’s degree completion programs, 10 online master’s degrees, and several online certificates, certifications and professional development programs. Southern Illinois University–Carbondale is accredited by the Higher Learning Commission (HLC). The University of North Carolina at Greensboro (UNCG), a public university founded in 1891, enrolls more than 19,000 students. A member of the University of North Carolina System, UNCG offers more than 180 undergraduate, graduate, and doctoral degree programs. UNCG offers eight online bachelor’s degrees, eleven online master’s degrees, and online doctorates in educational leadership and kinesiology. Fort Hays State University, a public, coeducational university founded in 1902, enrolls about 11,200 students across four colleges. Fort Hays offers over fifty online programs through its Virtual College. Virtual College students can chose from two online associate’s degrees, fourteen online bachelor’s degrees, sixteen online master’s degrees, or an online doctorate of nursing practice program. Fort Hays State University is accredited by the Higher Learning Commission (HLC). The University of Louisiana at Monroe, a public, coeducational university established in 1931, offers a variety of undergraduate and graduate degrees and enrolls about 8,500 students. The University of Louisiana at Monroe offers over thirty online degree programs, including an associate’s degree, fourteen bachelor’s degrees, eighteen master’s degrees, and an online doctorate of education in curriculum and instruction, and a doctorate of philosophy in marriage and family therapy. The University of Louisiana at Monroe is accredited by the Commission on Colleges of the Southern Association of Colleges and Schools (SACS). Lewis University, a private, Roman Catholic university founded in 1932, offers more than 100 programs of study leading to undergraduate and graduate degrees through five colleges and schools. Lewis University offers a variety of online classes, as well as twelve online bachelor degree programs and seven online master’s degrees, as well as an online doctorate in nursing. Lewis University is accredited by the Higher Learning Commission (HLC). Huntington University, a private university affiliated with the Church of the United Brethren in Christ, enrolls about 1,200 students in more than seventy academic programs leading to undergraduate and graduate degrees. Founded in 1897, Huntington University is a member of the Council for Christian Colleges and Universities. Huntington’s online offerings include eight bachelor’s degree programs, an associate degree in organizational management, and six online master’s degree program. Huntington University is accredited by the Higher Learning Commission (HLC). The University of Southern Mississippi, a public research university established in 1910, enrolls about 15,300 students from around the world, and offers nearly 200 programs leading to undergraduate, graduate, and specialist degrees. Southern Miss’s degree offerings include more than thirty completely online degree programs, include nine bachelor’s degree programs, twenty-two master’s degrees, and a handful of online undergraduate and graduate certificate options. The University of Southern Mississippi is accredited by the Commission on Colleges of the Southern Association of Colleges and Schools (SACS). Indiana Wesleyan University, a private Christian university founded in 1920, enrolls about 15,800 students across five academic units. Indiana Wesleyan University offers a variety programs leading to bachelor’s, master’s, and doctoral degrees. IWU’s degree offerings include more than ninety online degree programs at the associate, bachelor’s, master’s and doctorate levels. IWU also offers a variety of online undergraduate and graduate certificate programs. Old Dominion University, a public research university established in 1930, offers more than 160 programs of study leading to a variety of undergraduate and graduate degrees. Old Dominion University enrolls more than 24,000 students and boasts 124,000 alumni worldwide. Old Dominion’s online offerings include dozens of full bachelor degree and degree completion programs as well as dozens of online master’s degrees, and nine online doctoral programs. Old Dominion University is accredited by the Southern Association of Colleges and Schools (SACS). California Baptist University (CBU), a private, Christian university founded in 1950, enrolls nearly 8,000 students. Affiliated with the Southern Baptist Convention, CBU offers a variety of undergraduate and graduate degrees through eleven academic divisions. CBU Online offers thirty-seven online degree programs in an accelerated format, including twenty-two bachelor’s degrees, more than a dozen master’s degrees, as well as two doctoral programs. Regent University, a private, Christian university founded in 1978, enrolls nearly 6,000 students. Regent University offers a variety of bachelor’s, master’s, and doctoral degrees through eight academic schools. Regent offers more than sixty online degree programs through Regent Online, many with numerous concentration options. Students may pursue online associate’s, bachelor’s, master’s degrees, and doctoral programs. Regent University is accredited by the Commission on Colleges of the Southern Association of Colleges and Schools (SACS). Utah State University (USU), a public university established in 1888, enrolls more than 28,000 students. The flagship of the Utah State University System, USU offers about 300 undergraduate and graduate programs through nine colleges. USU Online offers a host of online degrees, including an associate’s degree in general studies, seven online bachelor’s degrees and nine online master’s degrees. North Dakota State University (NDSU), a public university established in 1890, offers hundreds of degree programs and certificates. The flagship of the North Dakota University System, the university enrolls approximately 14,500 students. NDSU offers two online bachelor’s degrees and eighteen fully online master’s degree programs, as well as blended learning options. North Dakota State University offers several online certificates at undergraduate and graduate levels. North Dakota State University is accredited by the Higher Learning Commission (HLC). Upper Iowa University, a private university established in 1857, enrolls more than 6,100 students. Upper Iowa University offers more than forty undergraduate and graduate degree programs. Upper Iowa University’s online degree offerings include four associate’s degrees, more than thirty bachelor’s degrees, and five online master’s degrees. Champlain College, a private college founded in 1878, offers a variety of undergraduate and graduate degree programs in more than eighty academic topics. Champlain College enrolls 2,000 students from around the world. Champlain College’s offerings include over twenty online undergraduate and graduate degrees. Students may select from four online associate’s degree programs, eleven online bachelor’s degree programs, or seven online master’s degrees. Champlain College is accredited by the New England Association of Schools and Colleges (NEASC) through its Commission on Institutions of Higher Education. Dakota State University, a public university founded in 1881, enrolls more than 3,000 students. Governed by the South Dakota Board of Regents, Dakota State University offers a variety of bachelor’s, master’s, and doctoral degree programs through three colleges. DSU’s degree offerings include a dozen online bachelor’s degrees, six online associate’s degrees and seven online master’s degrees. Dakota State University is accredited by the Higher Learning Commission (HLC). The University of Memphis, a public research university founded in 1912, enrolls more than 21,000 students from all over the world. Through UM Online, the University of Memphis offers dozens of online degree programs. Online undergraduate degree offerings include sixteen bachelor’s degrees, eighteen master’s degrees, as well as two doctorate programs. Students may pursue a variety of online graduate certificate programs. The University of Memphis is accredited by the Commission on Colleges of the Southern Association of Colleges and Schools (SACS). Central Michigan University (CMU), a public university founded in 1892, is among the largest public universities in the nation. CMU enrolls about 28,000 students and offers 200 programs leading to a host of undergraduate, graduate, and specialist degrees. CMU provides over twenty degree programs online, including ten bachelor’s degrees, twelve online master’s degrees, and three online doctorate programs. South Dakota State University (SDSU), a public university founded in 1881, is among the oldest universities in the state. SDSU enrolls 12,500 students in a host of undergraduate, graduate and doctoral degree programs. Undergraduate online students can complete eight bachelor degrees as well as three associate’s degrees. Students can pursue more than a dozen online master’s degree programs. The university belongs to the Great Plains IDEA consortium. South Dakota State University is accredited by the Higher Learning Commission (HLC). Dallas Baptist University (DBU), a private, Christian university founded in 1898, enrolls about 5,400 students. The university offers numerous programs leading to undergraduate, graduate and dual master’s degrees. DBU offers a host of online undergraduate degrees, including four associate’s degrees, sixteen bachelor’s degree programs, and fourteen master’s degrees. Dallas Baptist University is accredited by the Southern Association of Colleges and Schools (SACS). Lamar University, a public research university founded in 1923, awards a variety of bachelor, master, and doctoral degrees through five academic colleges. A member of the Texas State University System, Lamar University enrolls nearly 15,000 students. Lamar’s offerings include over twenty online programs, including more than a dozen bachelor’s degree programs and more than a dozen master’s degree programs as well as a doctorate in educational leadership. Lamar University is accredited by the Southern Association of Colleges and Schools (SACS). Florida International University, a public research university founded in 1965, enrolls more than 50,000 students. FIU offers more than 191 programs of study leading to undergraduate, graduate (including doctoral), and professional degrees through twenty-three schools and colleges. FIU’s offerings include more than twenty online bachelor degree programs, nineteen online master’s degrees, and a doctorate in nursing practice. Florida International University is accredited by the Southern Association of Colleges and Schools (SACS). LeTourneau University, a private, interdenominational Christian University established in 1946, has nearly 2,800 students. The university provides a wide variety of undergraduate and graduate degree programs. LeTourneau University provides over a dozen online bachelor’s degree programs, two online associate’s degree programs, eight online master’s degrees, and more. LeTourneau University is accredited by the Southern Association of Colleges and Schools (SACS). East Carolina University, a public, doctoral/research university founded in 1907, enrolls about 27,300 students. Among the largest universities in North Carolina, ECU awards a variety of bachelor, master, doctoral, and professional degrees through fourteen colleges and schools. Students who hold some college credit can enroll in online bachelor’s degree completion program in ten subjects. East Carolina also provides twenty-five online master’s degrees, as well as a doctor of nursing practice and a doctor of philosophy in nursing. East Carolina University is accredited by the Southern Association of Colleges and Schools (SACS). Nova Southeastern University, a private, nonsectarian, non-profit, research university founded in 1964, enrolls about 28,400 students across eighteen schools and colleges. NSU offers more than 175 programs leading to a variety of undergraduate, graduate, and professional degrees and boasts more than 145,000 alumni. Nova Southeastern University offers fifteen online bachelor’s degree programs, and over forty online graduate degree programs, including master’s degrees and online doctorates. Brenau University, a private, non-profit university founded in 1878, enrolls about 2,800 students across several campuses. Brenau University offers a variety of bachelor’s, master’s, and doctoral degree programs. Brenau offers fifteen online programs leading to an associate’s degree, four bachelor’s degrees, and ten master’s degrees. Online students have access to tutoring, counseling, and career services. Brenau University is accredited by the Southern Association of Colleges and Schools (SACS). Central Washington University (CWU), a public university founded in 1891, enrolls about 11,000 students. The university offers more than 135 academic majors leading to a variety of bachelor’s and master’s degrees. Central Washington provides twelve online bachelor’s degree programs, ten online master’s degree programs, and a host of online minors, certificates and endorsements. Western Carolina University, a public, coeducational university founded in 1889, enrolls more than 10,000 students from around the world. Part of the University of North Carolina system, the university offers more than 150 undergraduate and graduate degree options through eight schools and colleges. The University offers a number of distance and online programs, including several online bachelor degree completion program options, eleven online master’s degree programs, and a handful of certificate and licensure programs. Saint Leo University, a non-profit, private, Roman Catholic, liberal arts university established in 1889, enrolls more than 15,900 students. Saint Leo University awards a variety of undergraduate and graduate degrees to students of all faiths. Saint Leo Online offers five associate’s degrees, twenty bachelor’s degrees, seventeen master’s degrees, several with multiple concentration options, as well as a doctorate of business administration online. Saint Leo University is accredited by the Southern Association of Colleges and Schools (SACS). West Texas A&M University (WTAMU), a public, non-profit university established in 1910, has a long history of offering quality education. The university began as a normal school and has grown into a comprehensive university with nearly 100 undergraduate, graduate and doctoral degree programs. The university offers a range of fully online programs at the bachelor’s and master’s degree levels, allowing students to earn their degree without setting foot on the Texas campus. West Texas A&M University is accredited by the Southern Association of Colleges and Schools (SACS). Charleston Southern University (CSU), a Christian liberal arts university founded in 1964, has been nationally recognized for integrating faith in leading, serving, and learning. Affiliated with the South Carolina Baptist Convention, CSU is one of the state’s largest independent, accredited universities. Charleston Southern offers six fully online bachelor’s programs, and ten online master’s degrees. Charleston University is accredited by the Southern Association of Colleges and Schools (SACS). The University of Nebraska Omaha (UNO), founded in 1908 as a private non-sectarian college, became a public institution in 1930. Part of the University of Nebraska system, UNO allows students to pursue more than 200 programs of study across six colleges. Online students can earn a range of undergraduate and graduate degrees and certificates fully online. The University of Nebraska Omaha is accredited by the Higher Learning Commission (HLC). University of Wisconsin Milwaukee (UWM) has offered quality education for more than 130 years. Since its beginnings in 1885 the university has grown to one of the largest universities in Wisconsin. A member of the University of Wisconsin System, UWM consists of more than a dozen colleges and schools offering nearly 200 degree programs. Through UWM Online students can pursue more than 30 online degrees and certificates and enroll in more than 700 online courses. The University of Wisconsin Milwaukee is accredited by the Higher Learning Commission (HLC). Sam Houston State University (SHSU), founded in 1879, is among the oldest public institutions of higher education in Texas. A member of the Texas State University System, SHSU consists of eight colleges and offers a range of academic programs including some that are nationally recognized. Through SHSU Online, students can earn any of nine online bachelor’s, twenty-nine online master’s, two online doctorate degree programs, and numerous online certificates. Sam Houston State University is accredited by the Southern Association of Colleges and Schools (SACS). University of North Texas (UNT), a public university founded in 1890, consists of a dozen colleges and schools as well as the Texas Academy of Mathematics and Science. UNT has offered quality academic programs for more than 125 years. UNT offers a range of degree programs and certificates. UNT Online enables students to complete 6 bachelor’s degrees online, nearly 20 online master’s degrees, an doctorate in Learning Technologies, and over a dozen online certificates. The University of North Texas is accredited by the Southern Association of Colleges and Schools (SACS). California University of Pennsylvania (Cal U), a public nonprofit university founded in 1852, offers a range of undergraduate, graduate and doctoral degrees. A member of the Pennsylvania State System of Higher Education, Cal U allows students to pursue more than 75 fully online programs made up of by two associate’s degrees, twelve online bachelor’s, over fifty online master’s degrees, and two online doctorates. Kennesaw State University, a public, coeducational university founded in 1963, enrolls just over 35,800 students. Part of the University System of Georgia, Kennesaw State University offers a variety of bachelor, master, and doctoral degree programs. Kennesaw State’s online degree offerings include fifteen bachelor’s degree programs, some of which require students to hold an associate’s degree in a related field before enrollment, more than twenty online master’s degree programs, as well as a doctorate in teacher leadership or in instructional technology. Kennesaw State University is accredited by the Southern Association of Colleges and Schools (SACS). Mississippi College, a private, Christian university founded in 1826, is among the largest private universities in the state with more than 5,000 students enrolled. Affiliated with the Mississippi Baptist Convention, the college offers an array of undergraduate and graduate degrees. Mississippi College offers six online bachelor’s degree programs, eighteen online master’s programs, as well as a doctor of professional counseling program. Mississippi College is accredited by the Southern Association of Colleges and Schools (SACS). Webster University, a private, non-profit university founded in 1915, enrolls about 22,000 students from around the world. The university offers a variety of undergraduate and graduate degree programs. Designed for full-time and part-time students, Webster University’s online offerings consist of five full bachelor’s degree programs, three bachelor-completion programs, over twenty master’s degrees, and several online undergraduate and graduate certificate programs. Eastern Kentucky University (EKU), a public university founded in 1906, enrolls nearly 17,000 students. EKU offers more than 160 programs leading to a host of undergraduate and graduate degrees through six colleges and schools. Through EKU Online, the university offers four online associate’s degrees, fourteen online bachelor’s degrees, sixteen online master’s degree programs, and online doctorates in nursing practice and occupational therapy, as well as a variety of online certificate programs. Eastern Kentucky University is accredited by the Southern Association of Colleges and Schools (SACS). Southeast Missouri State University has a long history of quality education dating back to 1873. Since then, it has grown into a comprehensive public university offering more than 200 areas of study. SMSU allows online students to complete any of eleven bachelor’s degrees, sixteen online master’s degrees, or chose from numerous online certificate programs. Southeast Missouri State University is accredited by the Higher Learning Commission (HLC). Concordia University is accredited by the Higher Learning Commission (HLC). Oral Roberts University (ORU), a private, Christian, interdenominational, comprehensive liberal arts university founded in 1965, enrolls about 3,600 students from around the world. ORU offers more than sixty undergraduate degree programs as well as a number of master’s and doctoral degrees. Oral Robert provides a variety of online bachelor’s degree programs, three online master’s degree programs, and certificates in English language learning or special education, as well as the Online Bible Institute certificate program. Oral Roberts University is accredited by the Higher Learning Commission (HLC). The University of Nebraska at Kearney (UNK), a public university founded in 1905 enrolls about 7,000 students. Part of the University of Nebraska system, UNK offers programs leading to bachelor and master degrees. Through the eCampus, the University of Nebraska at Kearney provides seven online bachelor-completion programs and over twenty online master’s degree options. Students may also pursue a variety of endorsements, minors, and certificates. The University of Nebraska at Kearney is accredited by the Higher Learning Commission (HLC). Brescia University, a private, coeducational, Catholic university founded in 1925, enrolls more than 900 students. The university offers a variety of undergraduate and pre-professional degree programs as well as master’s degrees. Brescia’s fully online degree programs follow an accelerated format and feature weekly “live” chat sessions. Brescia provides five online associate’s degrees, six online bachelor’s degrees as well as a bachelor’s completion program in social work, and online master’s degrees in social work and management. Brescia University is accredited by the Southern Association of Colleges and Schools (SACS). Saint Joseph’s University (SJU), a private, co-educational Roman Catholic Jesuit university founded in 1851, is among the oldest Jesuit universities in the nation. A member of the Association of Jesuit Colleges and Universities, SJU offers more than 100 undergraduate and graduate degree programs. Through its online offerings, students can receive the same rigorous education with an emphasis on communication and critical-thinking skills. Online students can pursue a handful of bachelor-completion programs as well as a number of master’s degrees and certificates. Saint Joseph’s University is accredited by the Middle States Commission on Higher Education (MSCHE). Academic accreditation functions as a seal of quality for online colleges and universities just as it does for traditional on-campus programs. It means that an impartial third-party organization officially recognizes the school as providing reputable programs and degrees. All of the online schools ranked here have regional accreditation. A degree from an accredited institution comes with approval and recognition of the US Department of Education, which in turn is recognized by other schools and employers as being of good quality. A degree from a non-accredited institution comes with the risk of potentially not being viewed as a “real” degree by other schools or employers. Many regionally accredited colleges and universities, like state universities, will not accept credits from nationally accredited schools. If you ever want to transfer or get a graduate degree you may have to redo coursework — not fun! Simply put: regional accreditation is the gold standard in higher education. When seeking the best online colleges, you want regionally accredited online colleges. Institutional accreditation comes in two forms: regional, and national. Despite what the word “national” typically leads people to assume, regional accreditation is the gold standard. Regionally accredited institutions usually only accept transfer credits from other regionally accredited institutions and are recognized as giving a quality, comprehensive education. Nearly 3,000 colleges in the United States have regional accreditation, about 85% of the national total. While nationally accredited schools may prepare students to enter certain skilled careers (such as culinary arts or automotive mechanics), they likely won’t prepare students to pursue further higher education because regionally accredited institutions generally do not accept transfer credits from nationally accredited institutions. For example, a student with a nationally accredited bachelor’s degree may not be able to earn a master’s degree from a regionally accredited institution. Also, many of the nationally accredited schools are for-profit schools, which can offer programs of dubious quality and value. The U.S. Department of Education (ED) and the Council for Higher Education Accreditation (CHEA) oversee six regional accreditation bodies: the Higher Learning Commission (HLC), the Middle States Commission on Higher Education (MSCHE), the New England Association of Schools and Colleges (NEASC), the Northwest Commission on Colleges and Universities (NWCCU), the Southern Association of Colleges and Schools Commission on Colleges (SACSCOC), and the WASC Senior College and University Commission (WSCUC). When looking for accredited online colleges, students should keep these accrediting bodies in mind. Sometimes referred to as “specialized accreditation,” programmatic accreditation can be important, but is not as absolutely necessary as institutional accreditation. That said, it is more important (and common) in some fields than others. Fields like philosophy or English, for example, lack programmatic accrediting bodies. In areas like engineering or business, on the other hand, the best online schools feature accreditation from the Accreditation Board for Engineering and Technology (ABET) or the Association to Advance Collegiate Schools of Business (AACSB) respectively. Want to know more about college accreditation? Like institutional accreditation, programmatic accreditation serves as a significant mark of quality. Moreover, some professions regulated by state, regional, or national licensing boards (such as teaching) may require students have earned their degree from programs recognized by specific programmatic accreditation agencies. Many prospective students with full-time jobs, children, military duties, and those who live in remote or rural areas, cannot attend a traditional on-campus degree program. The traditional classroom model simply doesn’t work for everyone. Online colleges offer one basic solution to help overcome the myriad of life’s obstacles: portable education. Parents can stay home with their families, professionals can keep their jobs, military personnel can study while deployed — your world doesn’t have to stop because you have to get to class. Not only that, with low overhead costs and special scholarships, online colleges can actually be more affordable than traditional on-campus programs. Still wondering whether online college is right for you? Below are some quick answers to some of the most asked questions and concerns about online college degrees. Any degree program online or on-campus is a huge, multifaceted investment. Therefore, we also offer more in-depth answers in our Savvy Student’s Guide to Online College for anyone with lingering uncertainties. How do I know if an online degree is right for me? Earning an online degree may not be the right choice for everyone. Before deciding on a program, students should ask themselves what kind of student they are, what their goals and motivations are, what they can handle financially, how they learn best, how organized they are, and if their personality is suited to online learning. The answer is not about whether the quality of instruction will be there. The programs we’ve ranked will deliver high quality online education. The question is whether you will show up. Be honest with yourself. It’s all about personal discipline. Are online classes as good as in-person classes? Online college programs, just like traditional courses, depend on the student. The best online colleges offer online courses with the same rigorous curricula and standards as their on-campus counterparts, and offer identical quality through a flexible online medium. Online forums and meetings with professors, in many cases, offer better opportunities for engagement than classrooms where everyone sits quietly. Accredited online colleges must keep an eye on the quality of their curriculum and instruction or else they put their reputation and accreditation at risk. Are online college courses cheaper? When it comes to college online or on-campus, “cheaper” shouldn’t be the operative term. Online college degrees typically cost less to complete than on-campus courses mainly because the reduction of other costs — living costs, transportation, opportunity costs (time). Looking for the most affordable online colleges means you should start by looking at home. Students considering taking online courses from a college in another state will likely wind up paying out-of-state tuition prices, which can be unnecessarily expensive. Students should seriously consider taking advantage of the in-state tuition discounts by finding their preferred online degree at a school in their state. Our Best Online College ranking allows you to filter by state so you can see your best local options. Are online students eligible to receive financial aid? Regionally accredited online colleges offer financial aid. Online students need to do their homework regarding the specific terms of their eligibility and adhere to FAFSA guidelines and deadlines, college guidelines and deadlines, be enrolled full-time, ensure the online college is regionally accredited, and meet other criteria. In-state tuition can save you a lot of money. Be a part of a university or college that you know and love. Get a degree from an online school that employers know and trust. Be close enough to easily visit the campus when you want. Beyond listing the best online schools, you’ll find a wealth of information across our site, covering both accredited online schools and traditional, on-campus, higher education programs; along with rankings of doctoral, master’s, and bachelor’s degree programs. The top, accredited colleges and universities are featured here. 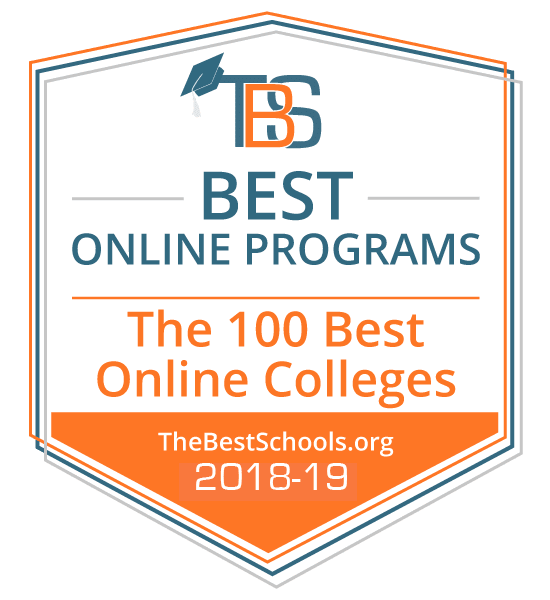 Learn more about the best online colleges and universities, the best online college degrees, and everything you need to know taking college courses online: start with The Online Colleges Source. Find the exact online degree you want!